At long last! 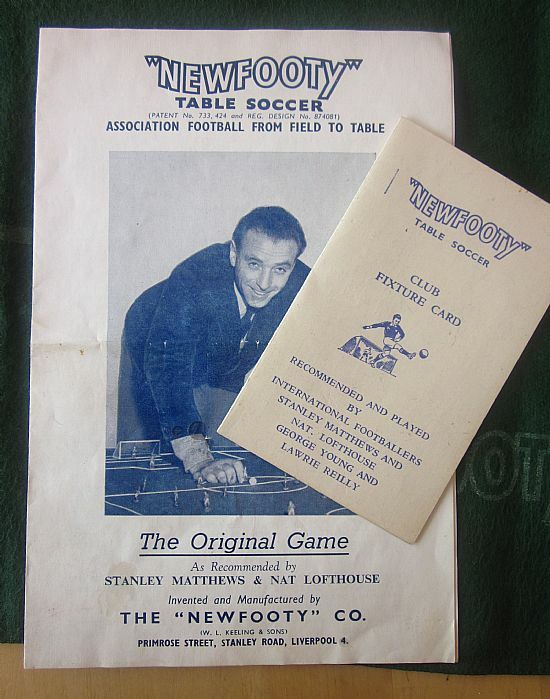 A page on Newfooty, the game that never really gets the praise and recognition that it should as it is overshadowed and swamped by Subbuteo, despite appearing twenty years earlier. 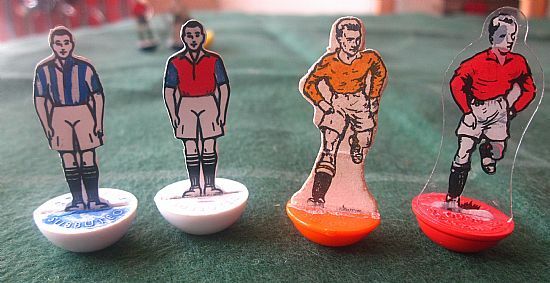 Top of my wants list are the 3D figures that Newfooty produced for a short while. Can you help? 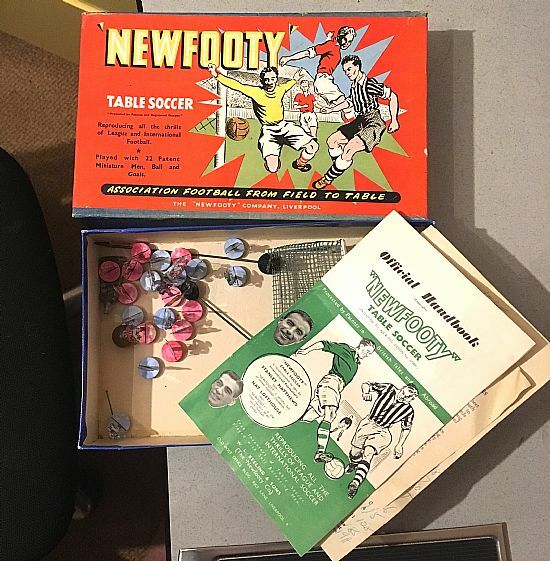 Nice clean example of a mid 50s Newfooty set - teams, goals, ball, paperwork in a great condition box. Nicely produced action pose figures printed either on cardboard or celluloid. The bases have lead inserts to weight them for fast finger flicking action. 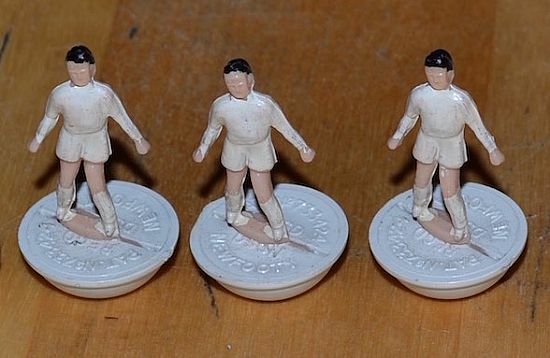 Newfooty figures really do eclipse the Subbuteo versions. Action pose versus standing to attention. Exactly like Subbuteo just flick to kick. 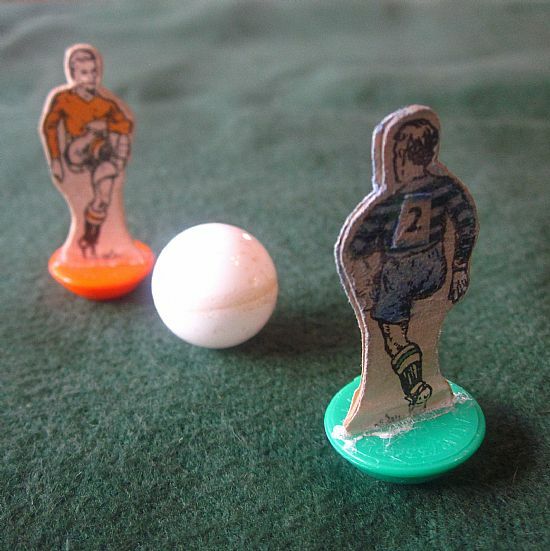 The back page offers tips on how to play Progressive Table Soccer! 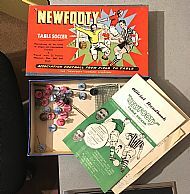 Newfooty produced three dimension plastic figures for a year or two in the early 1960s. They were poor quality and are now incredibly rare.